Why Is Hillary Clinton Using Republican Talking Points to Attack Bernie Sanders? In a troubling failure of imagination, her campaign paints Sanders as naive for wanting to pursue better relations with Iran. So far, I’m in agreement with the former Secretary of State. Sanders doesn’t talk much about foreign policy. Who, for example, are Sanders’s foreign policy advisers? I pay some attention to these things, and I have no idea. When he’s asked about global affairs, Sanders often steers his answers back to his domestic bêtes noires, such as inequality, and applies the concepts abroad. Not the worst sin in the world—certainly, issues like inequality affect global and geopolitics as much or more than then do at home—but the lack of depth about the specifics of global affairs has long been on display. 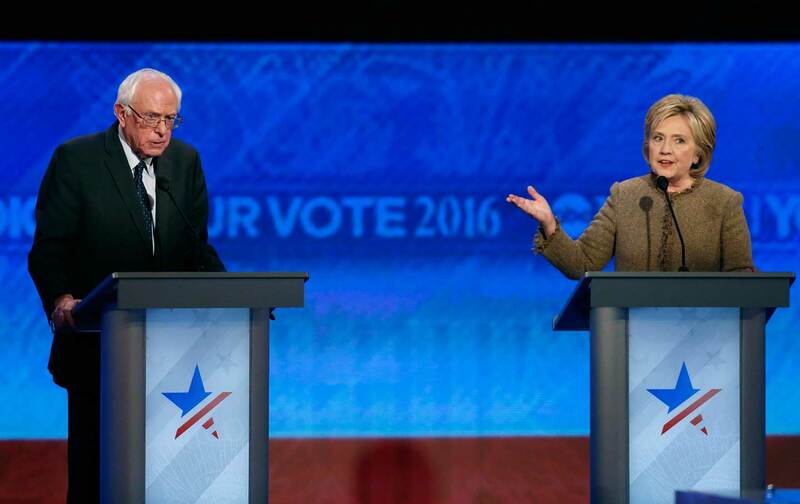 The Clinton attack, however, went farther, hitting Sanders on the topic of Iran. Her campaign released an ad featuring Clinton foreign policy adviser Jake Sullivan almost mockingly describe Sanders’s various position on Iran. The ad raises three issues: Sanders’s purported proposal to invite Iran to send more troops to Syria to battle the Islamic State in Iraq and Syria (ISIS); his notion of an anti-ISIS coalition that would include Iran and Saudi Arabia; and his comments during last weekend’s Democratic debate calling for moving toward warmer relations with the Iranians. Can I tell you that we should open an embassy in Tehran tomorrow? No, I don’t think we should. But I think the goal has got to be, as we have done with Cuba, to move in warm relations with a very powerful and important country in this world. Clinton, in the wake of her Benghazi/e-mail non-scandal, should understand the pitfalls of Republican demagoguery as well as anyone else. Indeed, should she reach the general election, Clinton should expect a barrage of Republican attacks precisely on her role in diplomacy with Iran. And yet her campaign seems happy to leverage Republican demagoguery in order to attack Sanders. What should be most troubling to foreign-policy progressives about these attacks is that they call into question Clinton’s own bona fides on matters of war and peace. Yes, Clinton’s tenure as secretary of state saw the initial openings with the Iranians that led to the nuclear accord in July, but that all happened under Obama’s authority; her State Department staff carried out the meetings on the president’s orders. It’s hard not to view her latest attacks on Sanders as raising questions about whether Clinton could have mustered the political will and courage to strike the deal that Obama did. Or on a larger scale: Does she have the imagination and derring-do to accomplish similar Big Things on the world scale? That much came into focus on the phone briefing with reporters. On the call, Sullivan said, “Many of you know Iran has pledged the destruction of Israel.” As The New York Times reported, “The Clinton strategy on this front raises the risk of deterring powerful supporters of Israel from embracing Mr. Sanders should he capture the nomination.” I would contend it’s not just about deterring pro-Israel supporters in the general election, but also encouraging them to give donations to Clinton in the here and now. Clinton has made no secret of her courtship of the incredibly problematic megadonor Haim Saban. The Saban angle is notable because of his own bluster on Iran—that Israel should “bomb the living daylights” out of Iran in spite of a nuclear accord, if Israel disagreed with the tenets of that accord. Of course, Israel and the vast majority of its stateside lobbyists did oppose the final deal, and so did Haim Saban. Clinton is no stranger herself to this sort of bluster: In the 2008 presidential primary race, she remarked that her response to an Iranian nuclear attack on Israel would be to “obliterate” the country of nearly 80 million people. (No doubt a retaliatory attack would be in order, but the inherent violence of the verb seemed incredibly unstatesmanlike). What’s more, such bombastic rhetoric is unhelpful to diplomacy: Shane Bauer, who was held hostage in Iran for more than two years until his 2011 release, bluntly said as much about his own captivity, specifically about Clinton. More generally, the era of threats and saber-rattling should be behind us; Obama and the moderate Iranian president Hassan Rouhani have shown that there is a better approach that can yield results. The Iraq war vote and the 2008 spat over Iran diplomacy: raising these memories isn't a good look for Clinton. The Iraq war vote and the 2008 spat over Iran diplomacy—raising these memories isn’t a good look for Clinton. They should lead any foreign-policy progressive to wonder about Clinton’s lack of imagination and fortitude in pursuing ambitious foreign-policy goals. Would she pursue a politics of triangulation if she were to lead US foreign policy as president? Maybe Republicans and the pro-Israel lobby wouldn’t vociferously attack Clinton as much as they have Obama, but at what cost to the progressive foreign-policy agenda?